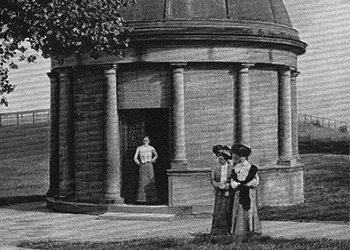 The first mineral spring is discovered in 1571 by William Slingsby and becomes known as The Tewit Well. The personal physician to Queen Elizabeth I recommends the waters for their medicinal properties. 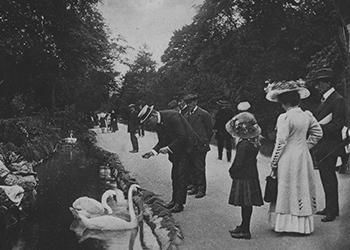 The town becomes known as ‘The English Spa’, the ﬁrst use of ‘Spa’ in the UK. A popular health treatment, wealthy visitors flock to ‘take the waters’. Harrogate becomes the first water to be bottled in Britain. The town continues to be synonymous with naturally sourced water, revered by Royalty and locals alike. Harrogate has 88 unique springs within a two-mile radius of the town centre, more than anywhere else in the world. Arx Celebris Fontibus, the town’s motto at its 1884 Charter of Incorporation, means ‘A Citadel Famous For Its Springs’. This is inscribed on the Royal Pump Room. 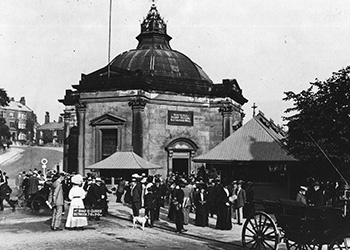 Harrogate Spring becomes the UK’s most exported water, keeping the troops hydrated from England to Bombay during WW1. 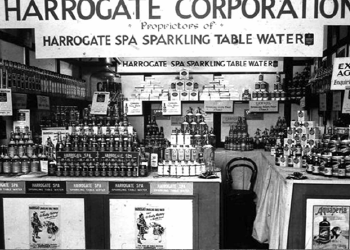 Harrogate Water Brands is created to continue the town’s illustrious heritage of providing the finest naturally sourced water from the beautiful spa town to discerning consumers across the world. Harrogate Spring is voted ‘Best Sparkling Water in the World’. Ethical water brand Thirsty Planet is launched as a sister brand to Harrogate Spring, dedicated to helping provide clean, safe water and sanitation to rural sub-Saharan Africa, delivered by independent British charity Pump Aid. Thirsty Planet is the only UK bottled water brand to guarantee a charitable donation with every bottle. 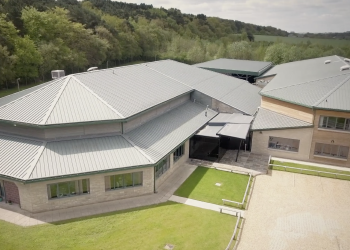 Harrogate Water Brands invests in state-of the-art production facilities to develop Harrogate Spring as a global brand. More Harrogate water is now bottled and distributed than there has ever been in its history. Harrogate Spring can be found at the most prestigious events and venues, from top hotels and restaurants to the world’s most reputable airlines. It is the official water of Ascot Racecourse and Royal Ascot.